This is Chloe on her way out the door to the airport. 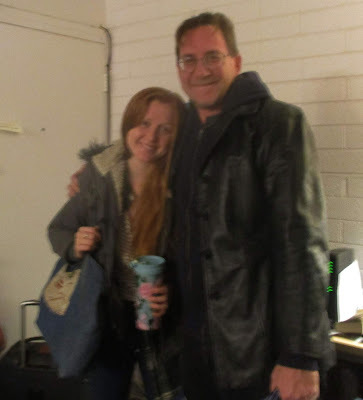 She's flying back to Missouri to finish her junior year at Stephen's College. She had a busy week before hand between finally sorting out her Arizona driver's license, applying to be a student ambassador for her study abroad program, and cleaning out everything she owns to ship back to Missouri. Hopefully she'll have a great semester! I've been busy as well trying to get my Mask Shop up to speed this week. 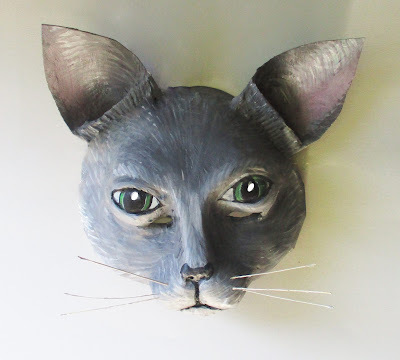 This is a new cat mask listing I added. 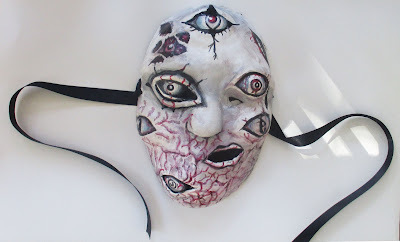 And here's the crazy eyeball mask I made at Halloween and have now added as a permanent listing in the store. Mask sales have been slow with the new year, which is hard because we're in a paycheck gap for about a month with Mike's job at the University. Anyway I'm back to teaching next week, so here's to a new semester!! 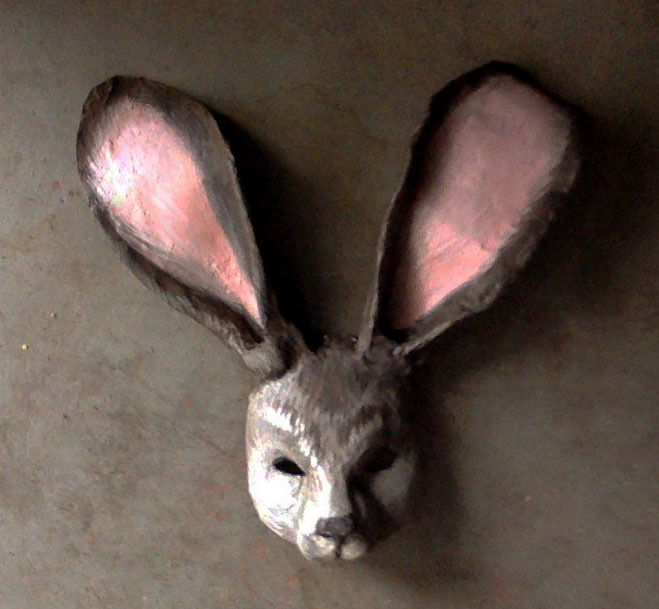 Let's make it a good one.